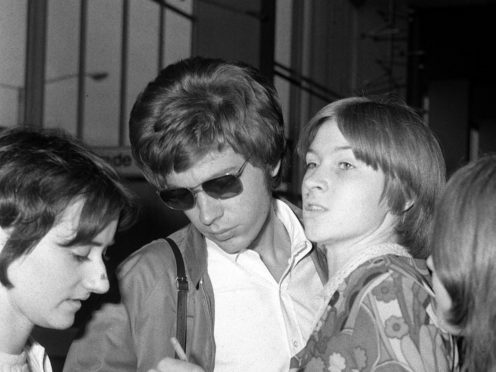 Tributes have been paid to Scott Walker, the “musical genius” who shot to fame in The Walker Brothers, following his death aged 76. The pop trio, formed in California, enjoyed hits like The Sun Ain’t Gonna Shine Anymore and Make It Easy On Yourself, in the 1960s. After moving to Britain, their fame in their adopted country at one point rivalled that of The Beatles. But Walker went on to shun the limelight, leaving the band at the height of its success and becoming one of music’s most influential singer-songwriters. Radiohead frontman Thom Yorke wrote on Twitter: “So very sad to hear that Scott Walker has passed away, he was a huge influence on Radiohead and myself, showing me how I could use my voice and words. Marc Almond said that Walker was an “absolute musical genius, existential and intellectual and a star right from the days of the Walker Brothers”. “Absolutely saddened shocked by the death of Scott Walker,” he wrote on Instagram. Walker’s record label 4AD described the singer-songwriter as “one of the most revered innovators at the sharp end of creative music”. “For half a century, the genius of the man born Noel Scott Engel has enriched the lives of thousands, first as one third of The Walker Brothers, and later as a solo artist, producer and composer of uncompromising originality,” it said in a statement posted on its website. “Scott Walker has been a unique and challenging titan at the forefront of British music. Other records included Climate Of Hunter, Tilt and The Drift and he also produced Pulp’s album, We Love Life. In the 1970s, The Walker Brothers reunited for their last album together. In 2017, Walker’s music was celebrated with a Proms concert at London’s Royal Albert Hall. And just last year, he wrote and produced the score for the film Vox Lux, starring Natalie Portman and Jude Law. Walker is survived by his daughter, Lee, his granddaughter, Emmi-Lee, and his partner, Beverly. His cause of death has not yet been announced.